MyExpression.com ProductID: 37808 - Turn writing thank yous into a fun project. Little kids will love to write on this bright colored banners over a chalkboard graphic background design. Blank print space lets you write your own message the way you want it! Paper Weight: 110 lb. Premium Quality Heavy Weight Uncoated Card Stock. Paper Finish: Uncoated Smooth for easy to write. 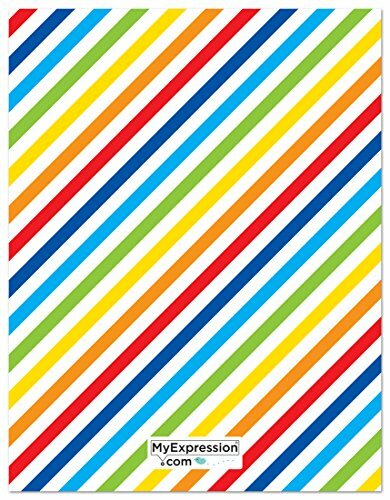 Card Size: 4.25 x 5.5 (in inch) with top quality full color double-sided digital printing. See 2nd photo. 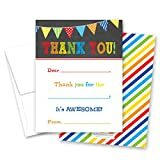 Sold in pack of 20 fill-in cards and 20 white envelopes. Low fixed price shipping for any quantity!. Shipping can be combined with other items we offer at Amazon. 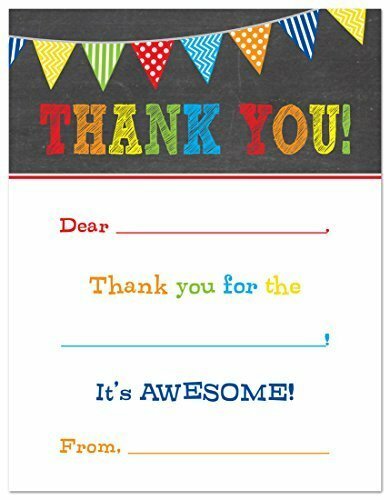 Turn writing thank yous into a fun project. Little kids will love to write on this bright colored banners over a chalkboard graphic background design. Blank print space lets you write your own message the way you want it!